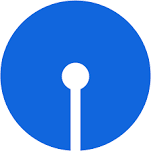 SBI specialist officer Recruitment 2015 – SBI invites online specialist cadre officers in state bank group through the advertisement no. crpd/sco/2015-16/1. Eligible and interested candidates can submit online application to the 96 vacant post of specialist officer in SBI. Online registration of application starts from 08.04.2015 and online registration will close on 27.04.2015. Further details information such as eligibility criteria, age as on, pay scale, selection procedure, written examination, application fee, syllabus for written exam, general instruction to apply online and other information in respect of fill up vacancies for SBI specialist officer at SBI website https://www.sbi.co.in. Candidates should possess B.E/ B.Tech in Computer Science/ Computer Application/ Information Technology/ Electronics/ Electronics & Telecommunications/ Electronics & Communications/ Electronics & Instrumentation. A degree in Civil Engineering from a recognized University/ Institution with 60% marks. An officer with minimum 5 years commissioned service in Army/ Navy/ Air Force. Refer notification for post wise qualification details. Age should be between 30-35 years. Applicant selection will in term of written test interview. Written exam will be held on 14.06.2015. Application fee: Application fee should be made online such as debit card, credit card, internet banking. Applicant are to pay Rs.600/- for General & Others and Rs.100/- for SC/ST/PWD categories as Application Fee. How to apply: Eligible applicant require to apply online for SBI specialist officer vacancies at www.statebankofindia.com on or before 27.04.2015. Direct visit on the official website; http://ibps.sifyitest.com/sbiscoapr15/. Click on New Registration, if you applying first time or log into with old details. MPP/2014/03” to check complete advertisement. Click apply online to fill up the complete application. Read instruction how to upload scanned copy of photograph with signature? Fill the complete form and upload signature and photo. pay the application fee through on-line. Hard copies should be reached before 07.05.2015.